Deal, Michael. "Diggity Archaeological Site". The Canadian Encyclopedia, 04 March 2015, Historica Canada. https://www.thecanadianencyclopedia.ca/en/article/diggity-archaeological-site. Accessed 19 April 2019. 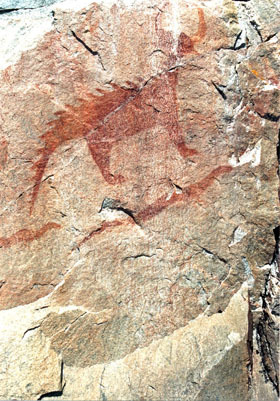 The Diggity archaeological site is located at the southeastern end of Spednic Lake, near the entrance to Palfrey Lake, in southwestern New Brunswick. Spednic is the largest of 61 lakes that drain into the St. Croix River, which flows into Passamaquoddy Bay. Diggity is a small First Nations site, approximately 400 m2 in area, dating to the Woodland period (1000 BC to 1000 AD). It was also used briefly in the mid-20th century as the site of a logging camp by the Georgia Pacific Company. 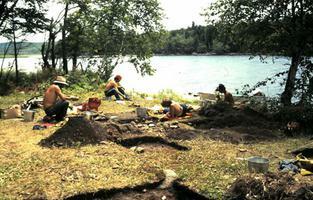 The Diggity site was discovered during a comprehensive survey of the St. Croix Waterway in 1982, and was recommended for future excavation, along with the Mud Lake stream site. The previous year, the St. Croix Waterway had been designated a provincial recreation area. 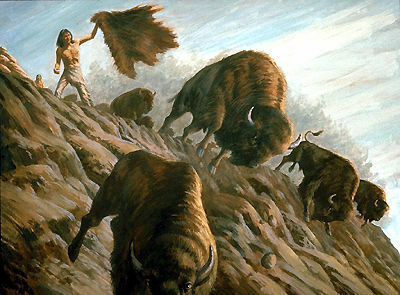 The archaeological survey that led to the discovery of the site was prompted by expectations of increased human activity on the river and lakes once the recreation area would be established. The Diggity site was excavated in the summer of 1983. Archaeological evidence indicates that this site was visited from Middle Woodland times (around 2000 years ago) into the historic period. Six hearth (fireplace) features were identified along with a pit containing both historic and prehistoric materials. 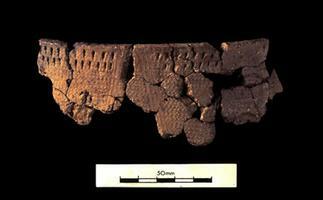 A radiocarbon date from one of the hearths (feature 3) indicated that it was used around 1220 years ago. Pottery fragments decorated with three different design elements (pseudo-scallop shell, dentate and cord-wrapped stick) were found in this feature. Originally, it was believed that the feature was undisturbed, but the radiocarbon date is considered to be too late for the presence of pseudo-scallop shell decorated pottery. However, it is possible that these fragments were disturbed from an underlying deposit when the hearth was established. The chipped stone tool assemblage includes four styles of projectile point (ie, contracting-stemmed, expanding-stemmed, corner-notched and side-notched), drills, bifacial cutting tools, unifacial scraping tools, utilized flakes, the bit of a celt (a stone implement with a chisel edge) and what appears to be an ulu (a knife with a crescent-shaped blade). This assemblage also includes an engraving tool (graver) which seems to be a reworked Archaic period stemmed biface. The stem treatment and raw material of this tool (ie, a bleached chert) are consistent with the Late Archaic bifaces from the Mud Lake Stream site. The fact that no other Archaic materials have been found at the site suggests that the artifact was found and reused during Woodland times. 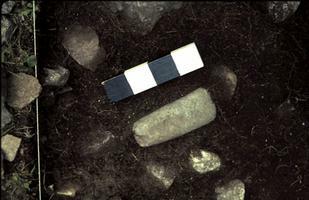 The pecked and ground stone assemblage includes two adze blades and a hammerstone. In addition, a siltstone fragment exfoliated from a pebble (or cobble) bears an incised design. The design shows two parallel lines, each delineating a right angle and extending over the damaged edge of the specimen. Incised pebbles like this are known from sites in the Passamaquoddy Bay, and especially the Holt's Point site. Sediment samples collected from four hearth features contained charred plant and animal remains. The plant remains were mostly edible berries, including raspberry or blackberry, elderberry and pin cherry. Animal remains consisted of calcined bones of beaver and black bear, along with several elements identified as large or medium mammal. The presence of hearth features, fire-cracked rock, pottery, calcined bone and charred seeds indicate a range of domestic activities (eg, food preparation and cooking). Projectile points indicate hunting. Scraping tools were probably used for hide preparation and bone-working, and along with adzes, for wood-working. The archaeological evidence suggests that there were large Woodland period settlement areas at opposite ends of Spednic Lake, while short term logistical campsites appear in the long stretch of lake in between. Mud Lake Stream is the largest site at the northern end of the lake, while Diggity is significant for being the largest of three sites known in the south. Sites in these areas contain the full range of material culture expected of multi-season encampments. Faunal and botanical evidence indicates late spring to fall occupations, while use in the winter cannot be ruled out. The lack of postholes at interior sites suggests that supporting posts for structures sat on the surface, like historic wigwams, in contrast to the semi-subterranean structures around Passamaquoddy Bay.